Dr. Potack is a graduate of the Mount Sinai School of Medicine. Following the completion of his internal medicine and gastroenterology training at Mount Sinai, he served there as associate director of the Gastroenterology Fellowship Training Program and medical director of the Gastroenterology Faculty Practice Associates. Most recently, he was employed by Bergen Gastroenterology in Emerson, NJ. 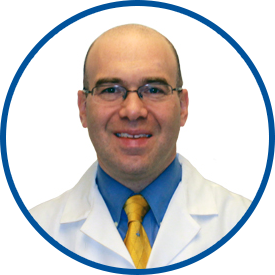 Dr. Potack has won numerous awards for excellence in clinical care and teaching. He has authored multiple peer-reviewed articles and textbook chapters on a wide variety of topics in gastroenterology. His practice covers the spectrum of gastrointestinal diseases. He has particular interest in inflammatory bowel disease and also weight control and the management of obesity, including emerging endoscopic weight loss techniques. In addition to being board certified in gastroenterology and internal medicine, Dr. Potack is one of the only gastroenterologists in the country who is also board certified by the American Board of Obesity Medicine. Recently, Dr. Potack has been named by his peers to the 2018 Super Doctors ® list. *Dr. Potack did my colonoscopy in May. Gave results of tissue sample immediately following recovery. *Jonathan Potack, MD is EXCELLENT - I'm glad to be working with him, getting his help.